Firstly, I fail to see what is so path-breaking about this experiment. Many microgravity studies have been done on biological processes on terra firma itself. A range of “g” values can be simulated on Earth itself – why waste so much of fuel and money to do this on the moon? And the Prime Minister’s time as well! Secondly, and more importantly I feel that the process chosen is ‘alien’ anyways. Why beer? Why not dahi? Dahi, or yoghurt is much more Indian than beer anyways. The process to make both involves post digestive effects of microscopic beings. Yeast for beer and bacterium for dahi. Maybe that is the reason: that the need was felt to examine the affect of microgravity on yeast’s business. We already seem to have a good ‘gut’ feel about bacteria anyways. No civilization worth its archaeology would be as sober as to not have any native methods to produce alcoholic drinks. The Mexicans even had chocolate – which I feel is more potent and damaging than alcohol as it always comes packed in pockets of sugar. Historically, India has largely used rice, plant & fruits (sugarcane molasses, grapes, apples, apricots, cannabis, cashew nuts, toddy sap, mahua etc.) and other biological ‘degradants’ to produce alcohol, but not as much of barley and malt. Sikkim and Nepal so use millets and barley but that’s small and relatively unknown. 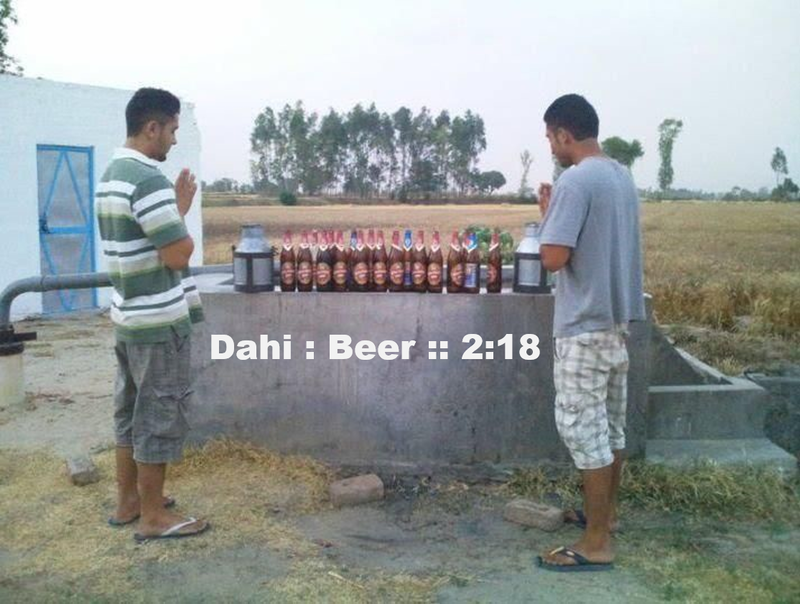 When writing this post, I reflected and sobered up on noting that I personally consume more beer than dahi! Duh. I buck the national trend. The per-capita consumption of dahi (in its various forms) is 2.3 kg per year. 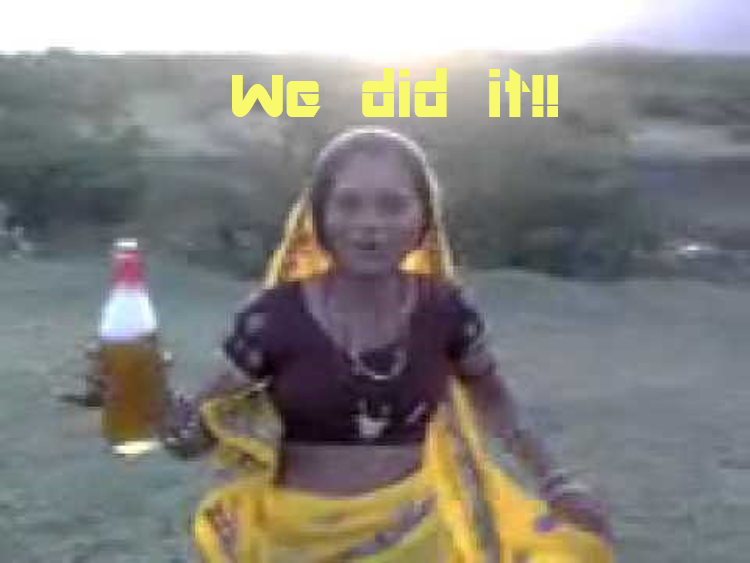 Beer on/in the other hand is being gulped at the rate of 1.6 liters per Indian person per year (the rural reverential picture above notwithstanding). The density of beer is just a little bit higher than that of water so Dahi, paradoxically, is ‘still on top’ but just by a few hundred per capita grams. Indians are socially arriving on the scene with their ales that are no longer pale and this is nevertheless good for the infantile craft beer scene in India. I have had a Bira 91 [link] just once which is like nothing when compared to the countless Hoegaarden’s and Asahis and Tsing Taos and Kingfishers and Cobras that I have downed– that’s how nascent the craft beer movement is. I need to get more of these. Making beer on the moon makes news, which is good for the category. I still think dahi would have made for a less kitschy proposition. But to each team its brew. Good luck, team India. Cheers! Slight correction sir. I guess it’s the cashew fruit that goes into fermentation (the nut is far far more valuable 😉 ). And cannabis as a source of alcohol is new for me. I know of its usage in cloth, fodder and you-know-what.